The Newsroom wishes you had merry White Christmas. We have fewer reasons to celebrate, knowing that our comrades are spending these days behind bars. However, in these holy days, some brave few are still fighting. Hail Victory! P.S. Excuse me for the late wishes, but I chose to spend some extra time with the family. We are still here! New polls reveal what we knew from long time ago, that the very center of Athens, the most degraded neighborhood of Greece, is going to be the first to be liberated on the first round of the elections! 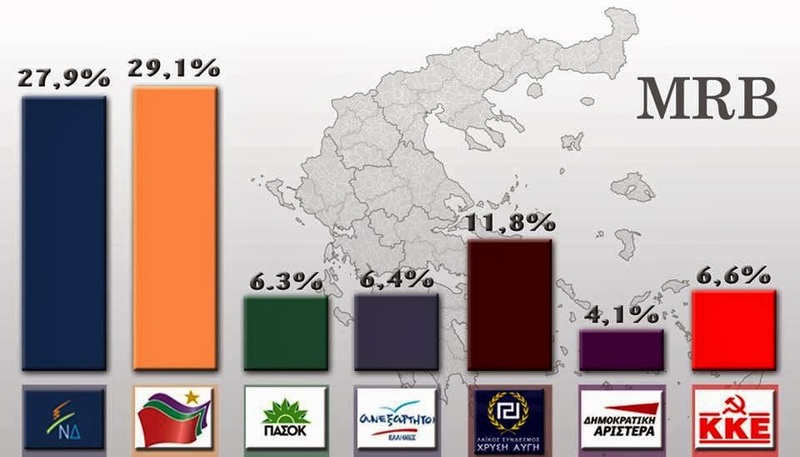 Specifically, comrade Ilias Kasidiaris gathers 55,5% of the Athenian vote. 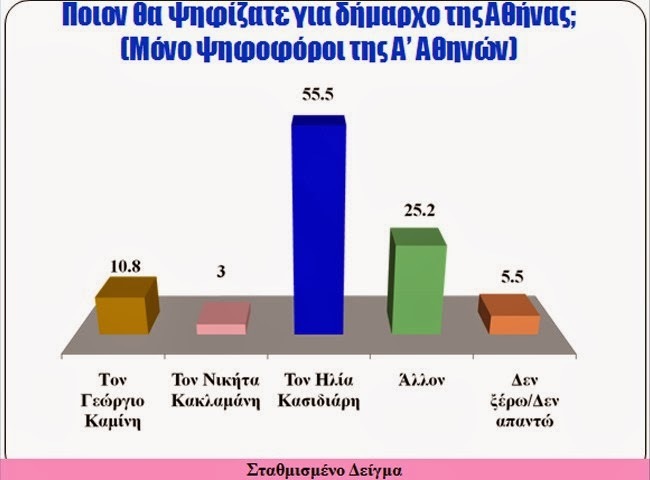 This poll proves that the Greeks trust the Party's program and course of action and that they are enraged by the plot to ban Golden Dawn or to at least bar us from these elections. 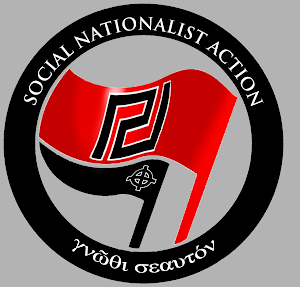 Today we saw the realization of yet another step in their long-prepared plan to suppress and ultimately ban the only genuine Revolutionary party in Greece. 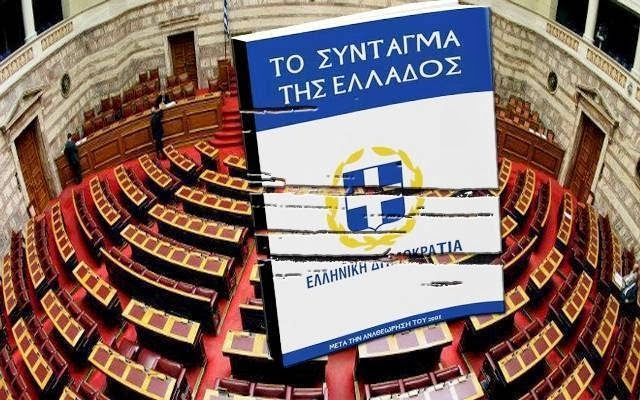 Today the illegal Parliament of 297 MPs passed the law that cuts the government subsidy for Golden Dawn, fulfilling the wishes of the Zionists and receiving their most warm congratulations. A new poll has seen the light of publicity, this one was published by MRB. This particular poll asks the voters about their preferences in the National elections and the European elections. 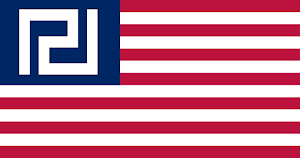 What we can note is the complete downfall of "New Democracy" and the rise of the Golden Dawn. After the murders of November 1st, where a group of agents threatened more than one million people with death just because they supported our Movement, someone would expect the number of our vocal supporters to be very few. 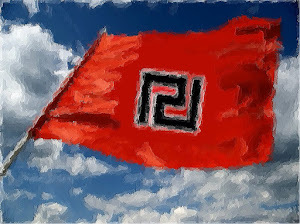 The Greeks don't fear the Golden Dawn, as she has proven she strikes at the right enemies. They are still afraid to openly say it, you see, state-sponsored terrorism won't allow it. 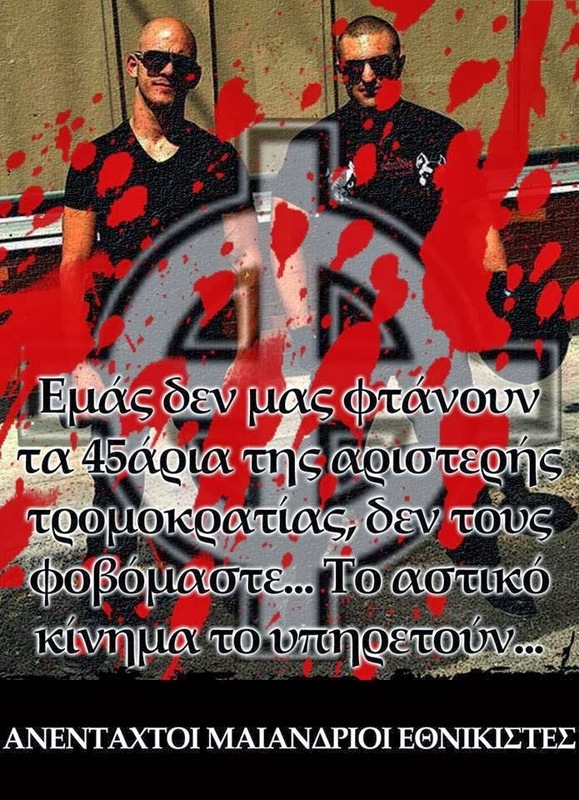 3.000 thousand Greeks marched yesterday to honor the our two Martyrs, Giorgos Fountoulis and Manolis Kapelonis. 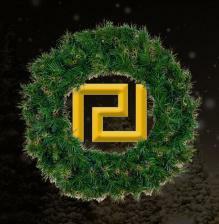 Their symbols are of great need and help in these tough years of terror. Slogans like "Brothers you live, you guide us" and "Manolis and Giorgos listen to us up there, your brothers here are flying their flags high" rocked the atmosphere. We will make sure that their deaths were not in vain. We will fight in their name, against the System that targeted them and against the agents that killed them, the faux-revolutionaries that sell resistance on the internet during the day and fire their guns against real revolutionary workers at night. They will give us courage for the next days, marches and struggles that are to follow, like the upcoming anti-mosque march in 14/12. This Newsroom has covered many food distributions by Golden Dawn in Greece and Cyprus, but those are about the most major soup kitchens in the respective capitals of the two Hellenic countries. 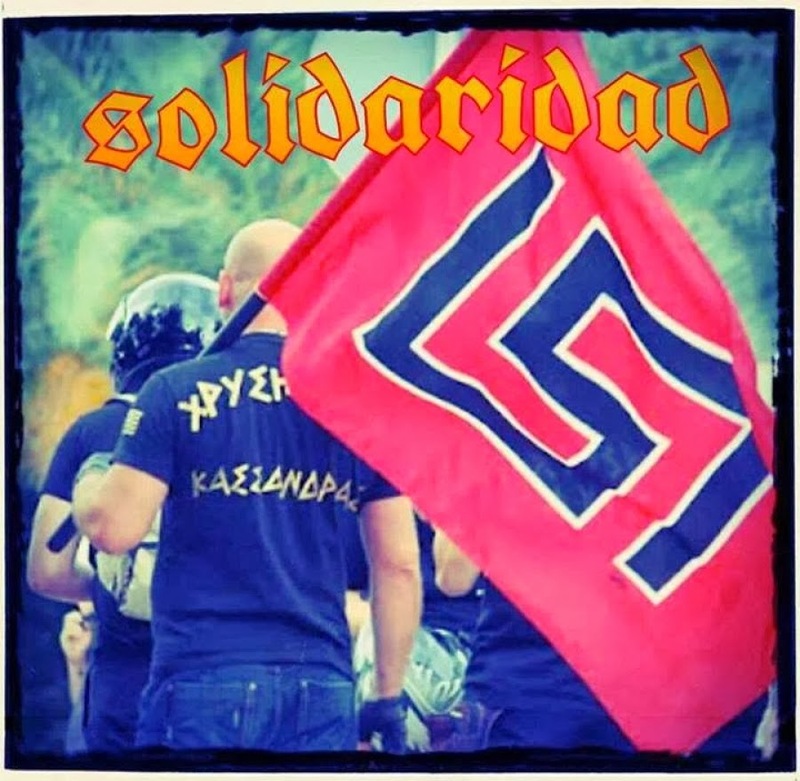 If I was able to cover all of Golden Dawn's food and clothing distributions dictated by the Social Solidarity Program, you would see hundreds of those actions in every Hellenic province. The materials I was able to present you are just the tip of the iceberg. Like those food distributions that are "lost" between the pages of this blog, other actions of a similar nature, by individuals or autonomous groups or even by the few near-collapse institutes that are controlled by the State, could go unnoticed by my readers. 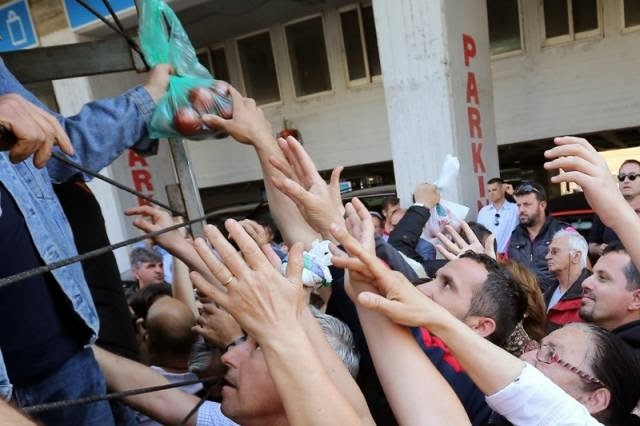 In this article we are going to examine some of those food distributions, and why the People need to be organized and disciplined in a Revolutionary Party with central leadership. 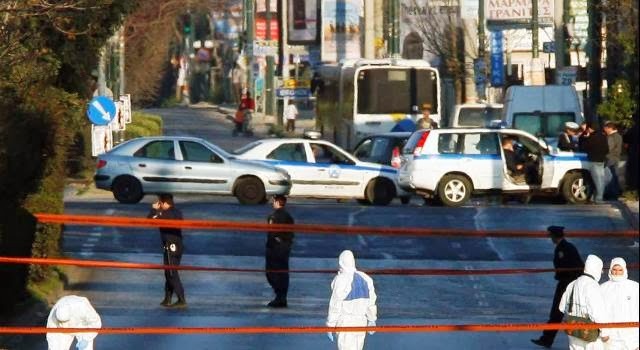 Another fiasco from the heartless and vicious government of Greece. Today, at about 11:00 Greek time, the Anti-terrorism department of the Police invaded the homes of 3 more MPs of the movement. 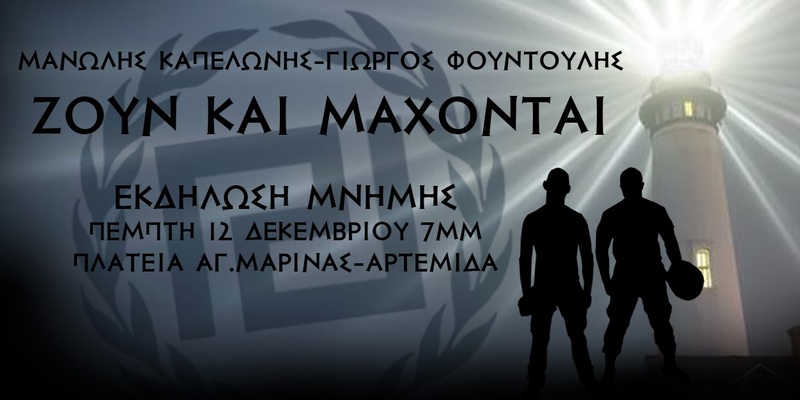 These are comrades Germenis, Boukouras and Iliopoulos. Comrades Germenis and Boukouras have one two-year-old daughter and 3 children respectively. Comrade Iliopoulos has a pregnant wife. Their families had to leave their beds, pick their kids and go out in the breezing cold, under orders of the cops and, by extend, the Minister of Civilian Protection. Yesterday, thousands of Social Nationalists gathered outside the parliament in a massive demonstration of our solidarity towards our imprisoned comrades! The presence of members and friends of the Movement was almost unbelievable. We proved, once again, our old saying: If one day everyone loses their faith, we will remain faithful, because we will always have a flag to fight for! The failure of the the terror machine to distance the People from the Movement was made even more apparent with this glorious gathering.